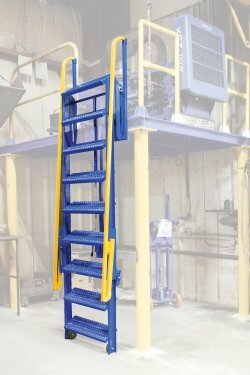 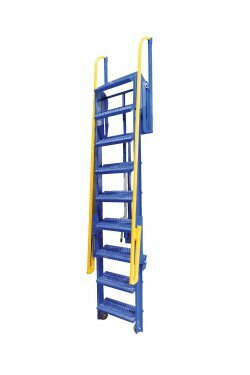 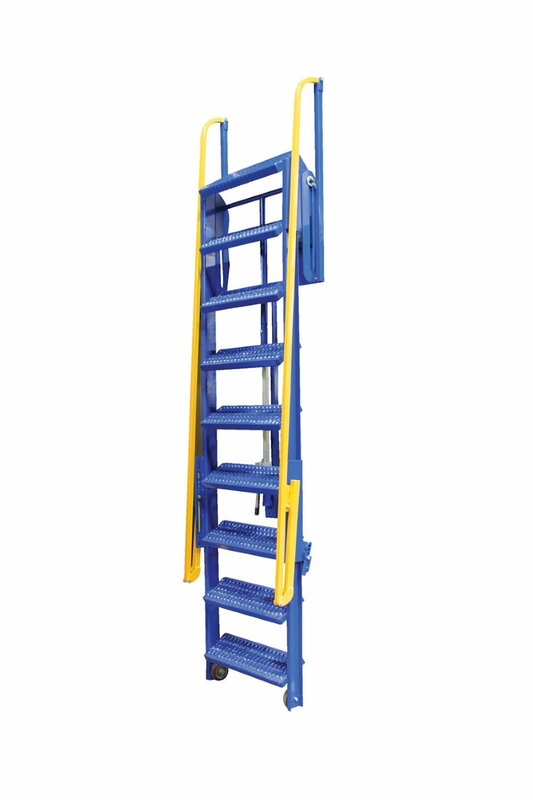 The 5 Step Folding Mezzanine Ladder is ratcheted into climbing angle and back into stored position. 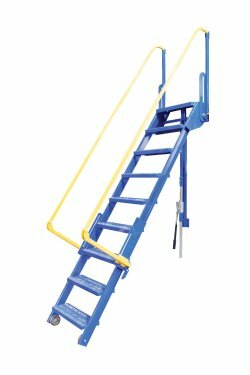 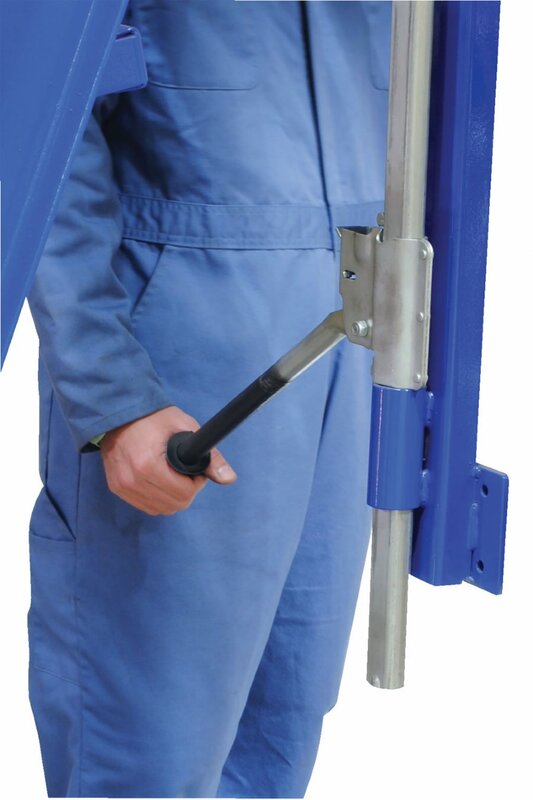 The wheels roll on the ground when ratcheted and the handrails mechanically rise into climb position when ladder locks into position. 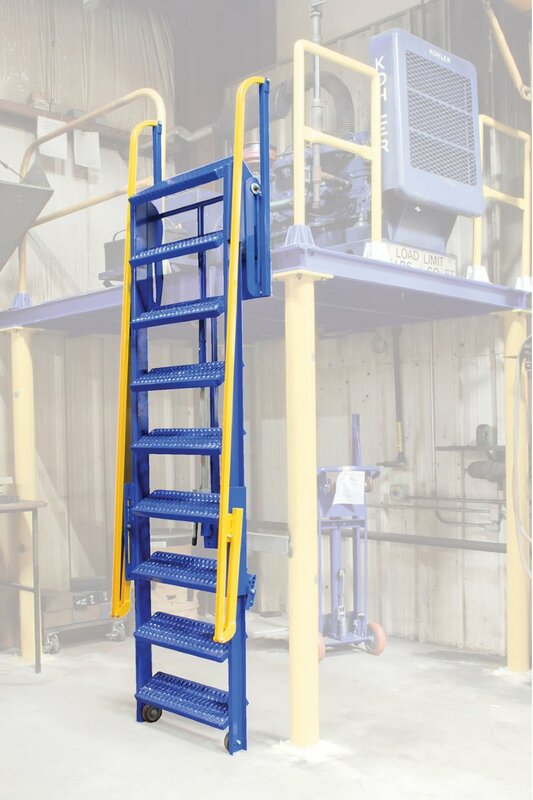 The mezzanine ladder allows for quick installation with mounting bracket provided for bolt-on installation or welded installation. 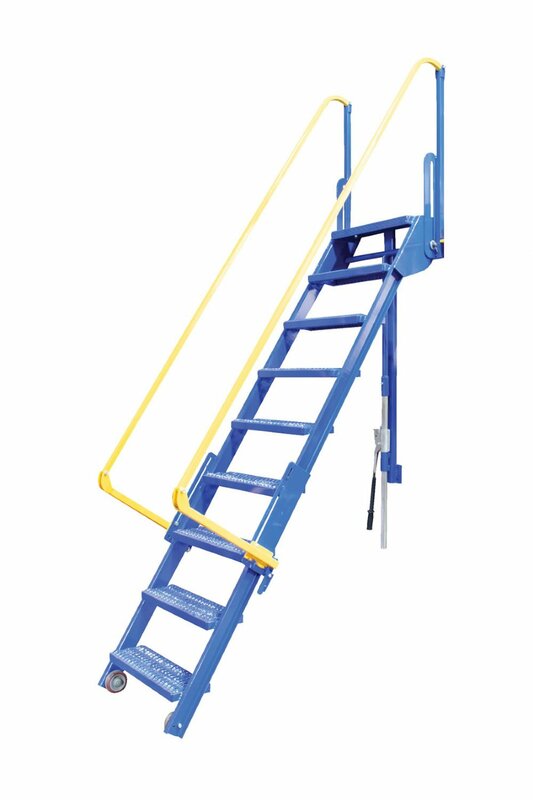 Overall Product Height (includes handrails): 92.5"